Melbourne-based architectural firm ClarkeHopkinsClarke (CHC) has won a fourth award for its Highett mixed use development, most recently taking out the GHD Woodhead Award for Best Mixed Use Development at the 2015 Property Council of Australia (PCA) event. Awarded as part of the PCA’s National Innovation and Excellence Awards, the project has been acknowledged for its development of affordable medium density housing, job creation and the revitalisation of its retail location. The Highett project wins to date include the Mainstreet Activation Award at the 2014 Mainstreet Australia Awards, Best Mixed Use Development Award at the 2013 Urban Taskforce Development Excellence Awards, and winner of the Judges Award at the 2013 UDIA Victoria Awards for Excellence. Completed in May 2013, the project represents an emerging design typology, combining retail with medium density residential development. In the case of Highett, this comprises a Woolworths supermarket and 17 specialty retailers at ground level, with 130 residential dwellings above. 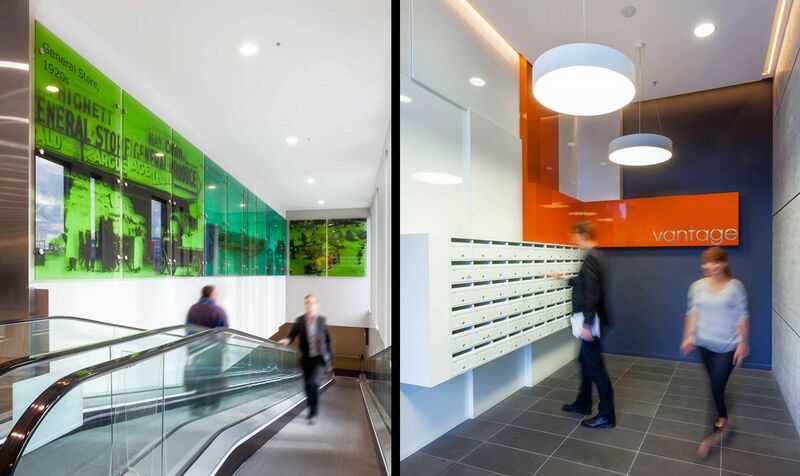 Highett is a relatively low profile project to have attracted a national award. Its significance lies in its demonstration of how introducing increased density can actually work to enhance suburbs. If we are to accommodate population growth within the current growth boundary, developments like Highett will become increasingly common. Located within Melbourne’s Highett Road shopping strip in the City of Bayside, the development has brought renewed vitality to the previously declining retail strip that was initially established in the 1950s at a time of substantial residential growth. 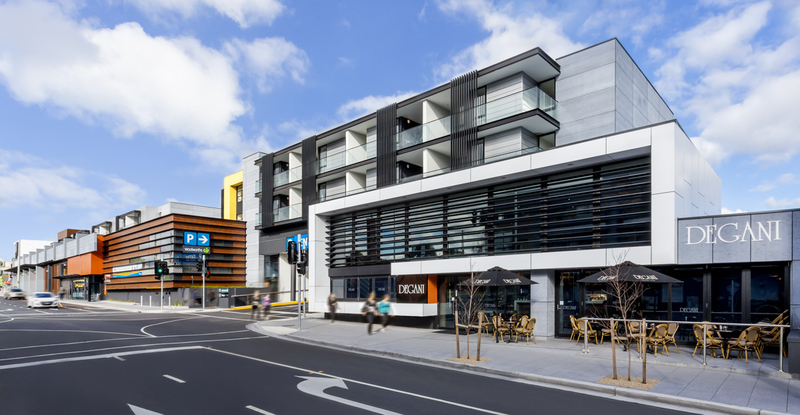 The Highett mixed use development has effectively maintained the existing urban fabric of the Highett Road strip by positioning the majority of the specialty retail tenancies along the street front facing Highett Road, with the Woolworths store accessed via an internal mall. In line with the CHC’s philosophy to “create vibrant communities,” the project has been successful in invigorating local commercial opportunities, achieving the economic and financial objectives of the developers Fabcot and Accord Property Group, while also providing economic benefits to the community. The Highett development responds sensitively to the surrounding context by preserving the scale and character of the existing streetscape. Approximately 180 full time, part time and casual jobs have been generated by the supermarket and specialty retail outlets since the opening of the centre, located at 284-286 Highett Road whilst the residential component has also been a financial success. Scott McVilly, Managing Director at Accord Property Group said, “The residences have proven to be highly marketable. They sold quickly off the plan with 120 of the 130 apartments sold prior to completion.” Furthermore, 50 per cent percent of the residential properties were sold under the NRAS scheme, providing the economic advantage of affordable housing to numerous residents. CHC's Highett design joins fellow projects such as Soho Village, Polaris 3083, Springvale and The Bullring in bolstering the firms strength in mixed use design. Interesting that Bayside refused this application and tried to put a mandatory 3 storey height limit on the site.